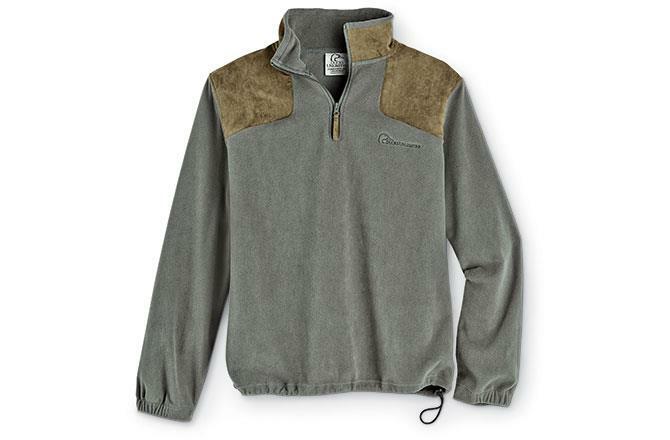 This new handsome gray microfleece pullover features tan faux suede shoulder patches and outer collar, and an embroidered DU logo in tonal thread on the left chest. 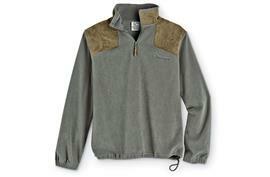 The 1/4-zip closes to a comfortable stand-up collar. Wide elasticized cuffs and draw-string waist prevent drafts. Easy care and quick drying, too. Perfect for layering on a cool day. Yours for $35, while supplies last!